Android is the most popular mobile operating system no doubt. Most of the credits for the popularity and adoption of Android goes to the fact that it’s open by nature. Since the early days when the T-Mobile G1 was the only Android powered handset you could possibly get, the source code for the operating system has been available for everyone to download and play with. 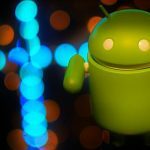 This article is geared towards going down the memory lane of Android version names with features, basically Android versions list and taking a look at what new features they brought in with them. Before that let’s look at the back story which I’m sure most of you aren’t aware of. Before Android or any other fork of Android existed, there was a small mobile software company named Danger which was founded by a former Apple engineer Andy Rubin. What made Danger popular was Hiptop, a smartphone with a landscape keyboard and an interface which prioritized web browsing and messaging. Danger entered into a unique business model with Hiptop (later renamed to Sidekick) which facilitated for a revenue sharing mechanism. Note: A Android KitKat version was released exclusively for Android wear devices with API level of 20 on Jun 25, 2014. In a way, it was Danger’s services that were being sold rather than the hardware. Rubin was removed from the company Danger, but soon enough he founded Android Inc. When it was founded it was a purely software based company with no products to sell for 2 years. They planned on focusing on creating the best possible web-connected experience and they believed that investors would come along if their product was great. Google at the time was looking for a mobile OS of its own, trying to compete with Microsoft and Blackberry (Oh! how have times changed). Google wanted more phones with Google as the default search engine and Android helped it achieve exactly that. While all of this was happening, Apple was busy minting dollars via the newly announced iPhone, RIM (the Blackberry manufacturer) was still very popular and Nokia was still a respected brand. In 2008 Google finally released the first Android powered handset with the G1. A smartphone buyer today won’t be impressed with the specs of the G1 which had a 528MHz, single-core CPU with 192MB of RAM and a 3.2-inch 320 x 480 display. Android as the OS was born on the T-Mobile G1 which was extremely powerful for its time. This version of Android showcased its potential but it was best suited for early adopters and gadget freaks. While the G1 couldn’t beat the iPhone sales in numbers and revenue, it offered some of the features key features of Android which we still find on our phones. Following are the features that came with it. The Android Market was used as a single source of delivery for Android apps and contrary to Apple’s tight restrictions on the App Store, the Android Market served apps without any restrictions. It came with the Android browser which made surfing the web fun. It was the first version of Android to offer data syncing with Google. It came with Google maps which used GPS to point hot location on a map. This was the beginning of never getting lost again. 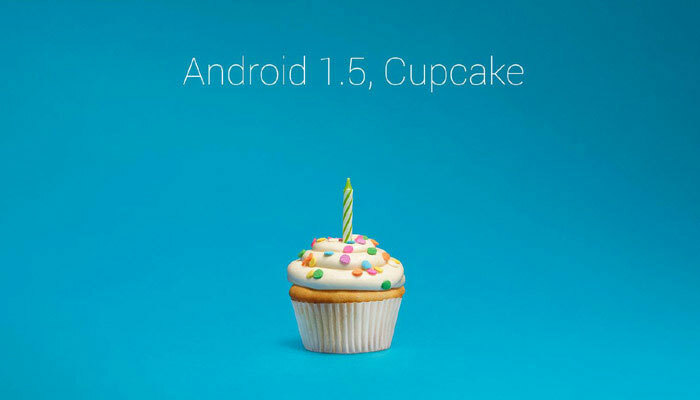 In the list of Android versions list comes Cupcake. 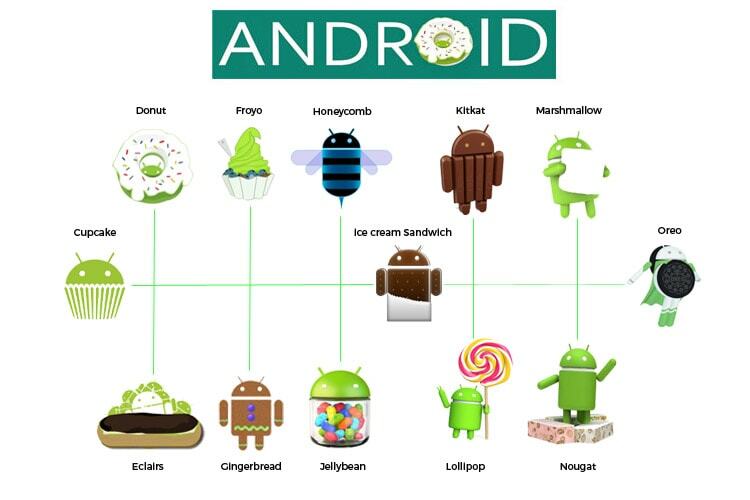 The cupcake was the Android version which started the tasty treat naming tradition for Android releases. This was the very first major Android update and was released in May 2009. The most noticeable feature with Cupcake was the virtual keyboard support which paced the way for buttonless smartphones of the future. Following are the features that came with it. 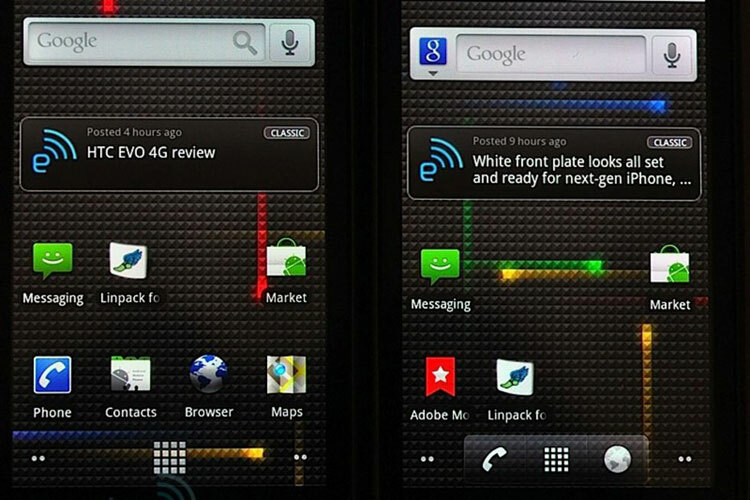 It came with shortcuts and widgets on the home screen which allowed infinite ways to customize the home screen. Video recording was added to the camera along with the ability to directly upload videos to YouTube. The browser got a speed improvement along with copy-paste support. Android 1.6 Donut was released in October of 2009. It offered a few major improvements. The biggest feature addition was the added support for CDMA which brought a whole new crowd to Android. CDMA was the technology used by American mobile networks at the time. Following are the features that came with it. 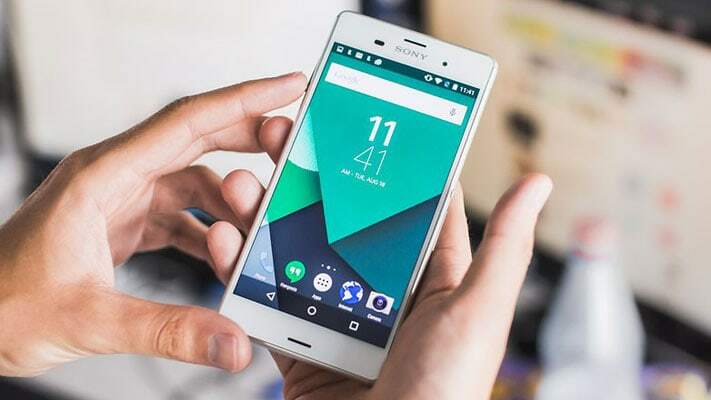 It came with support for multiple screen resolutions and paved the way for Android devices of different screen sizes. Google Maps Navigation was added with turn by turn satellite navigation support. Donut included universal search feature which allowed us to pinpoint apps on the phone or searching the web. 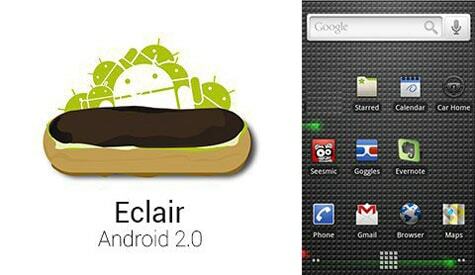 There wasn’t a long wait after the release of Donut, for Eclair to be released. In fact, it was launched just a month after Donut in November of 2009. Eclair 2.1 however, arrived in January 2010 with bug fixes and new APIs to play with. There weren’t any significant new additions in terms of features for users. Following are the features that came with it. Multi-touch support was added to Android. Web browser received a visual overhaul with a new address bar and thumbnails for a sneak peek. Eclair brought a unified inbox to Android. Support for multiple Google accounts was added. Support for searching within text messages. Android Froyo was released in May 2010. The major update that came with Froyo was the addition of Flash. Following are the features that came with it. Phone flash could be used in videos too. Settings joined contacts and email in backing up to Google’s servers allowing you to automatically restore everything on a new device. Enhanced Bluetooth compatibility with docks and car speakers. Portable WiFi hotspot to share the device’s 3G connection with other gadgets. 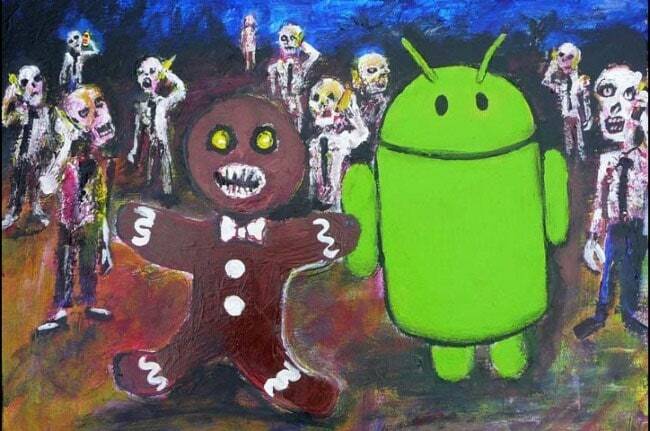 Gingerbread was released in 2010 but it wasn’t a release which made a lot of noise. Main features included NFC support, SIP for Internet calling. Following are the features that came with it. UI overhaul to avoid screen burn-in and improve battery life. Front facing camera support for video calling. Download manager for keeping an eye on your downloads. Improved on-screen keyboard with shortcuts and a cursor to help with copy paste. This version of Android is the most disregarded of all. It was released specifically for tablets and never came to the phones. 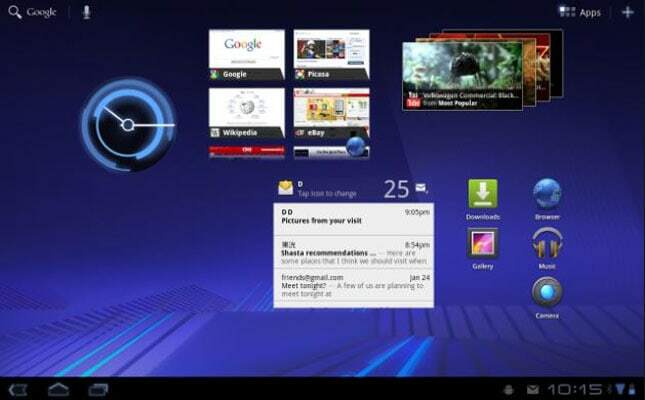 Honeycomb was launched in May 2011 and it basically expanded Android to support big screens of tablets. Following are the features that came with it. Several UI improvements to make use of the large screen. Hardware buttons are dropped in favor of on-screen buttons. Web browser introduced tabbed browsing. Apps like Gmail and YouTube were redesigned to make use of the large screen. Ice Cream Sandwich (ICS) was the first Android version to be announced at the Google I/O conference in May 2011. Although there was a long delay of around 7 months till anyone could use it because the Samsung Galaxy Nexus started shipping only in December. Following are the features that came with it. 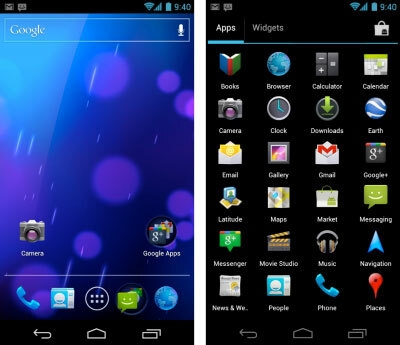 The biggest redesign to Android with the Holo theme. Multi storage space for apps. Face recognition for unlocking the phone. 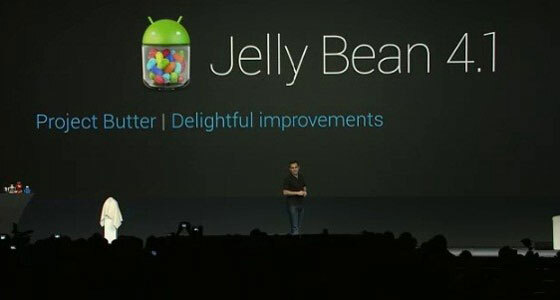 Jellybean was released in June 2012 and while the version number wasn’t a huge one, it added a lot of new features. Following are the features that came with it. Google Now, an assistant tool that displays relevant information based on your search history. Project Butter to support higher frame rates while swiping through menus and home screens. Ability to quickly view photos by swiping from the camera to go to the filmstrip. Widgets realign themselves on adding new ones. New gestures and accessibility features. 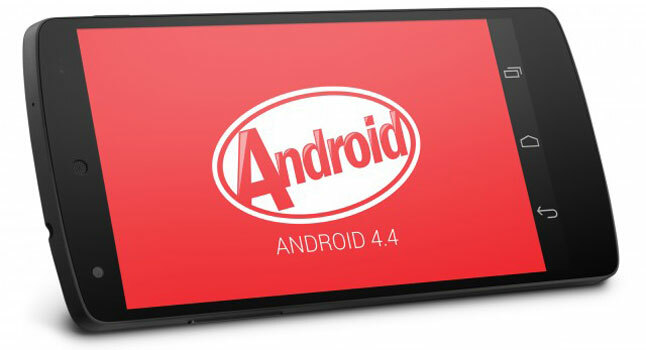 Android 4.4 KitKat was the last 4.x release and brought some major improvements both internally and visually to Android. It was released in November of 2013. Following are the features that came with it. Immersive mode for better content consumption. Better navigation bar for getting in and out of Immersive mode. New dialer with Caller ID feature. 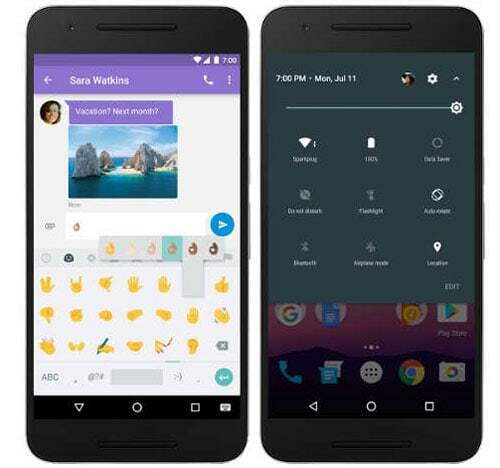 Unified Hangouts and messaging app. Smarter, hands-free Google Now Integration. 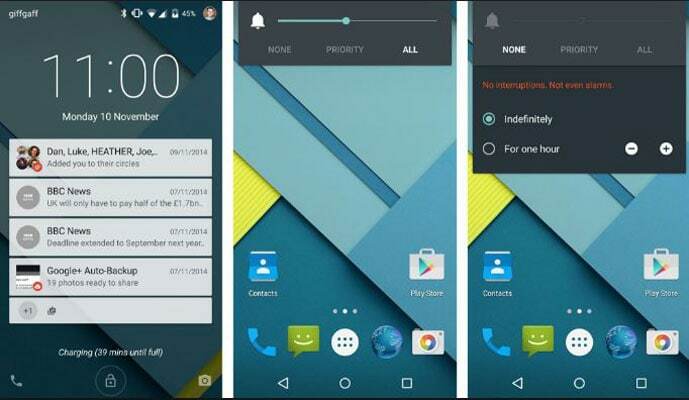 Android 5.0 Lollipop was announced at Google I/O in May 2014, and so far it’s been the biggest redesign for Android. The biggest improvement that Lollipop brought was the introduction of Material Design which quickly became the unified design language implemented across Google products. Following are the features that came with it. Enhanced battery life with new Battery Saver mode. Smart Lock features via Google Play Services. Guest mode for device sharing. While Lollipop was a big feature release, Marshmallow served the purpose of polishing out the rough corners and making the experience of Lollipop even better. It was showcased at Google I/O in 2015. Following are the features that came with it. Marshmallow came with Doze for better standby time. Official fingerprint support for devices. Support for mobile payments via Android Pay. Better permissions model for apps. This brings us to the last and most recent version of Android, and that is Android 7.0 Nougat. Unlike others, Nougat was released way before Google I/O in the month of March 2016. It brought with it some significant improvements and features. Following are the features that came with it. Doze on the Go for even better standby time. Multi Window for using two apps at the same time. Clear all in the recent apps screen. 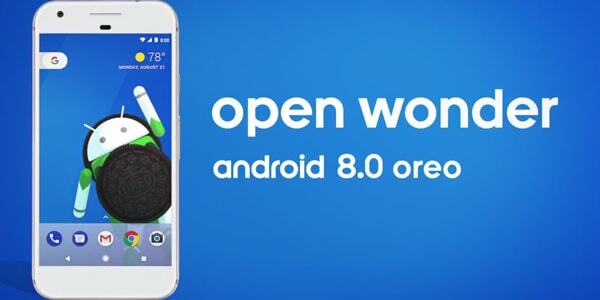 This brings us to the last and most fresh version of Android and that is Android 8.0 Oreo. Just like Nougat, Oreo was released as a preview version before I/O and over the months it was iterated over to stabilize the release. Now that the version is out here’s all that’s new about it. Strict rules for background processes Picture in Picture for using one app (video player for example) on top of another. Notification dots to quickly view an app’s activity by long pressing on it Adaptive icons for dynamic adaptation to launcher styles. Notification channels for better priority and categorization of notifications. Better overall color management for a more richer viewing experience. New emojis (I hate them) the Android O emoji collection has been redesigned and you’ll most likely hate it. Faster boot time: On Pixel devices, you can now experience up to twice as fast boot times compared to Nougat. AutoFill for filling and remembering passwords within apps. Android as a platform has evolved significantly since its inception in 2008. The platform now powers more than 1 Billion users who use the platform daily. It has also become one of the biggest sources of revenue and has essentially driven the smartphone era forward with its forward-thinking features which have become so popular that recent versions of iOS have started implementing it. You just have shared very cool information. Most of the people are not aware of it and should know about different Android versions and their qualities. Anyway, I am on 11th number – Android 5.0 Lollipop. 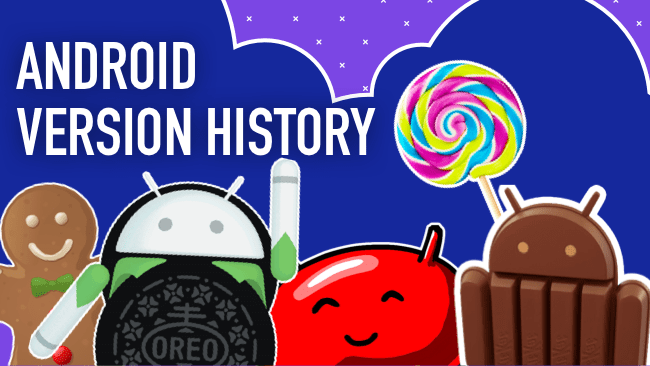 This is great and superb information about Android History, can you predict upcoming Android 9’s Name? Android 8.0 is awesome and added some really cool features. I’m still using KitKat version on one of my phones. Really great and informative article. Thanks for sharing. Very good and informative article . Now I know all about Android from beginning to the last one. Thank you for such information. Excellent List!! Thanks for sharing Android OS list. It is very informative and helpful. I am really glad I found this article, as it clears up a lot of things. My first Android was and is a 4.3 os and had no idea they were naming sweet things after the operating systems. I supposed that makes my phone is a jelly bean?